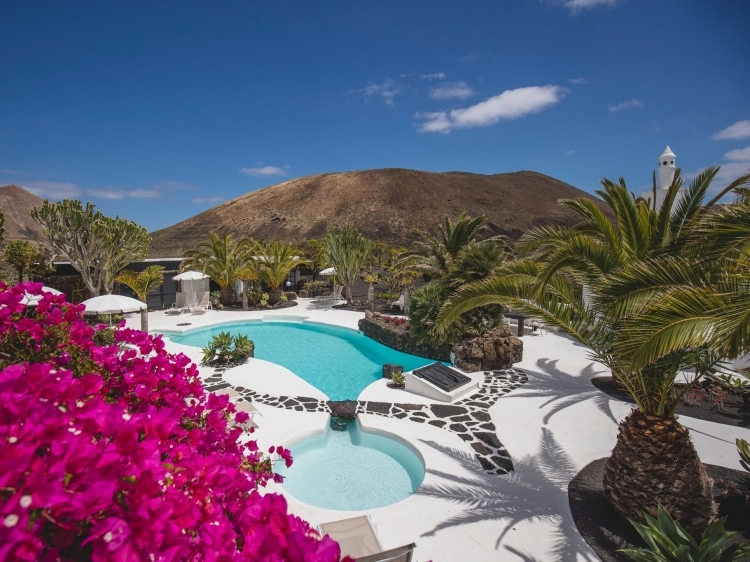 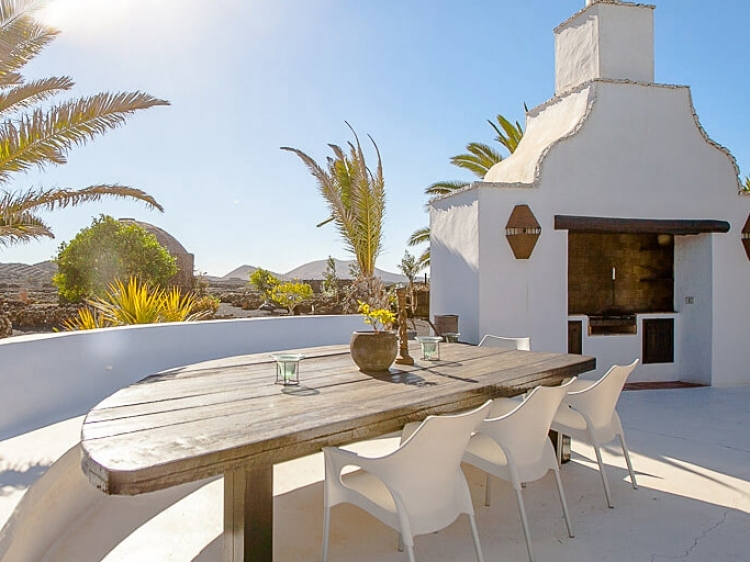 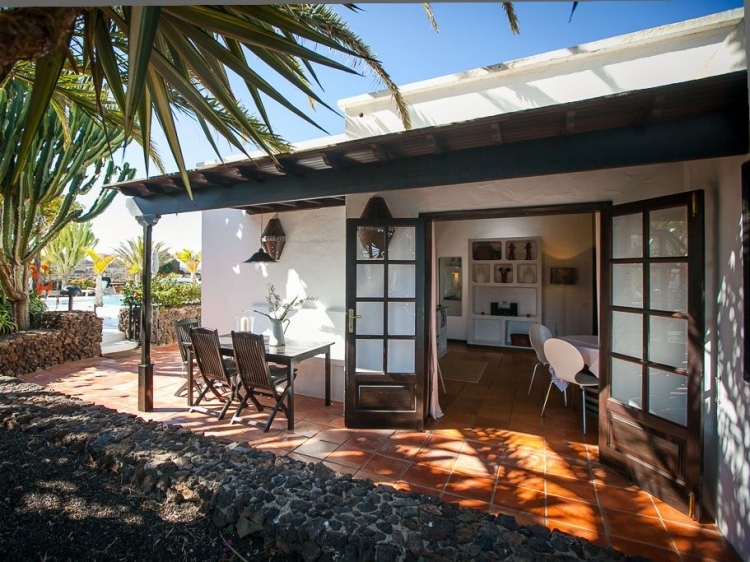 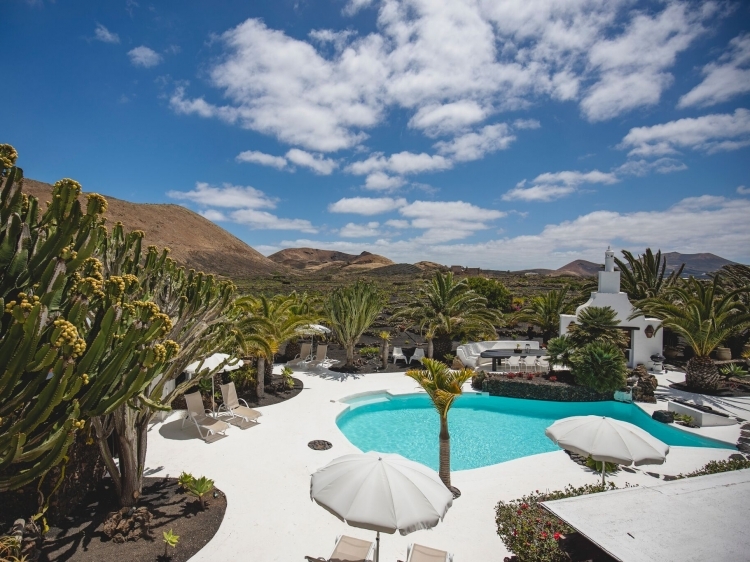 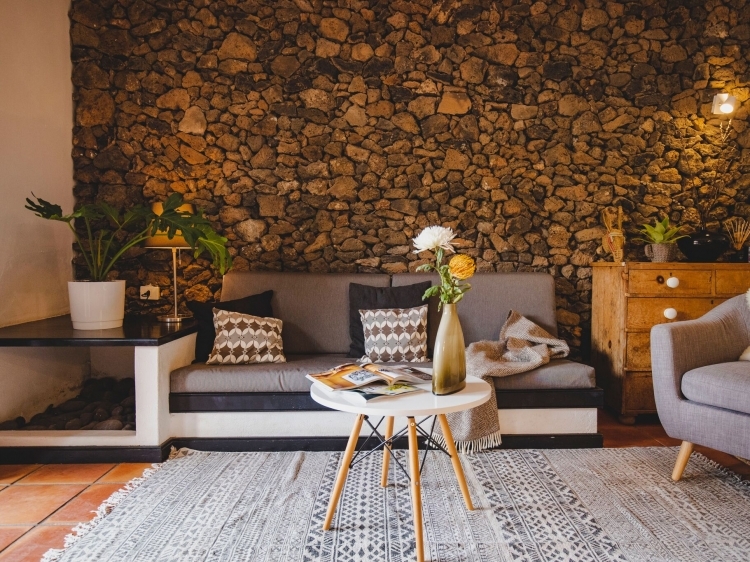 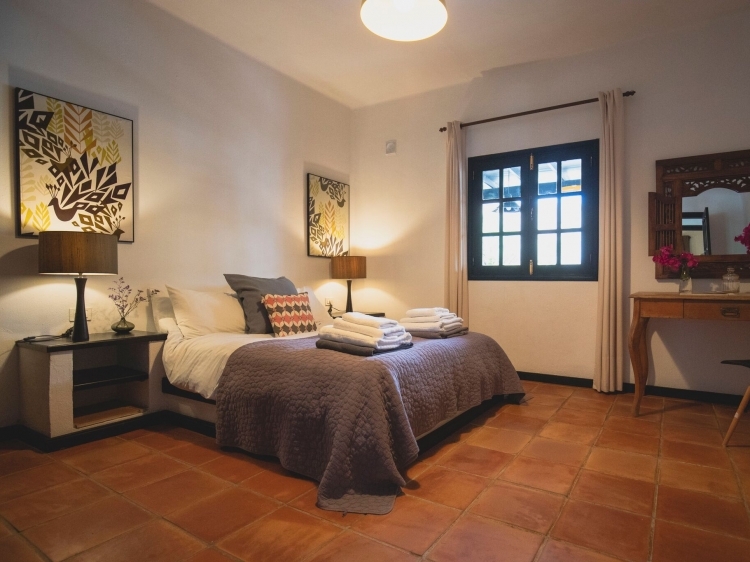 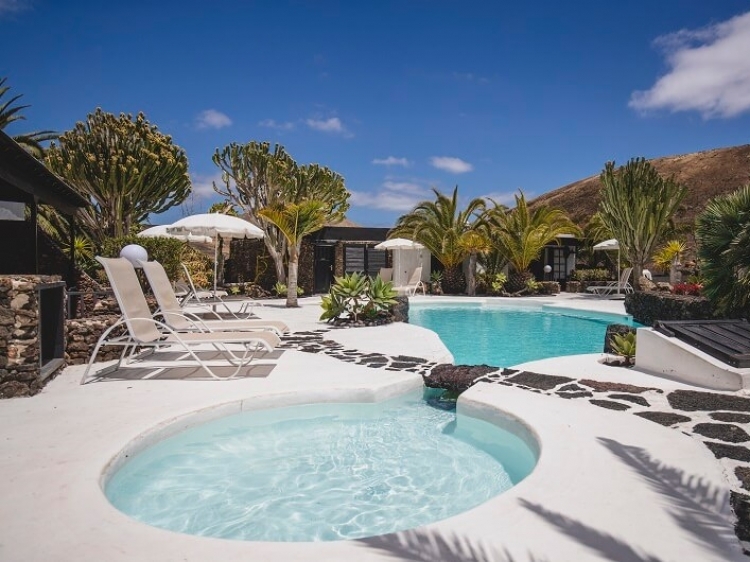 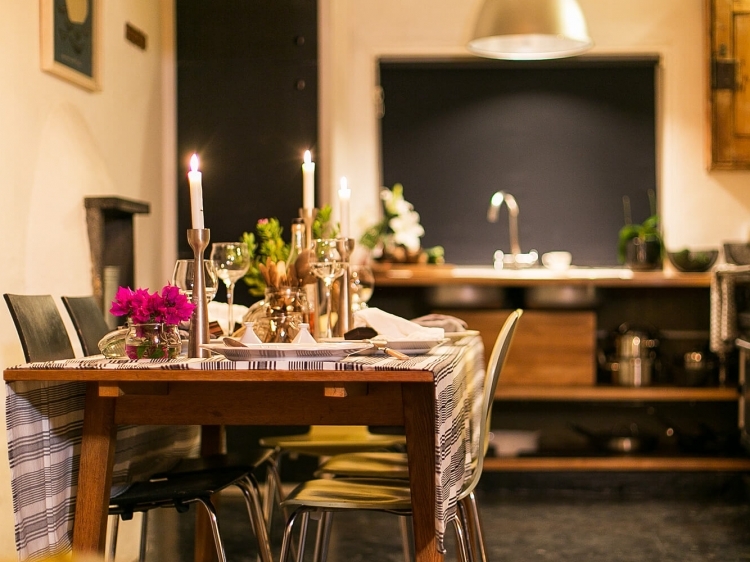 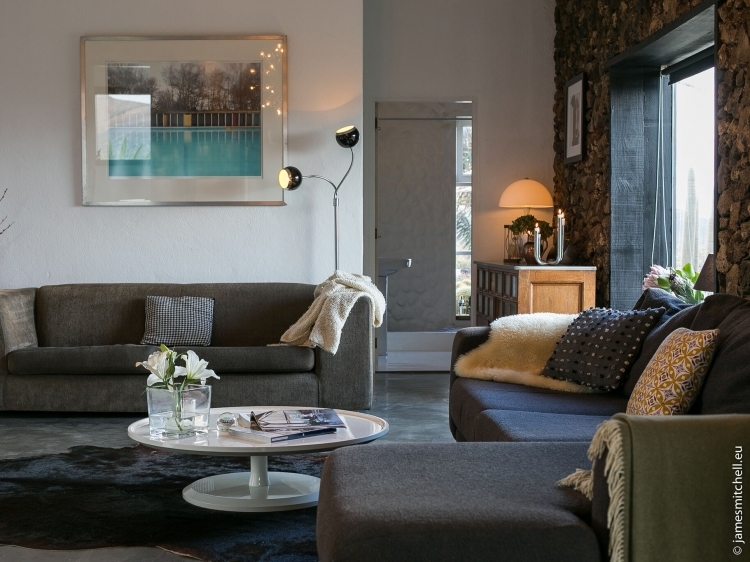 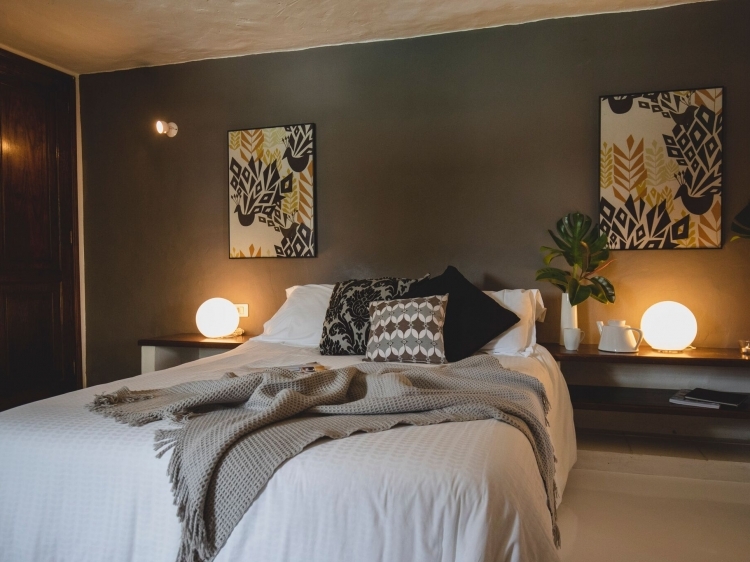 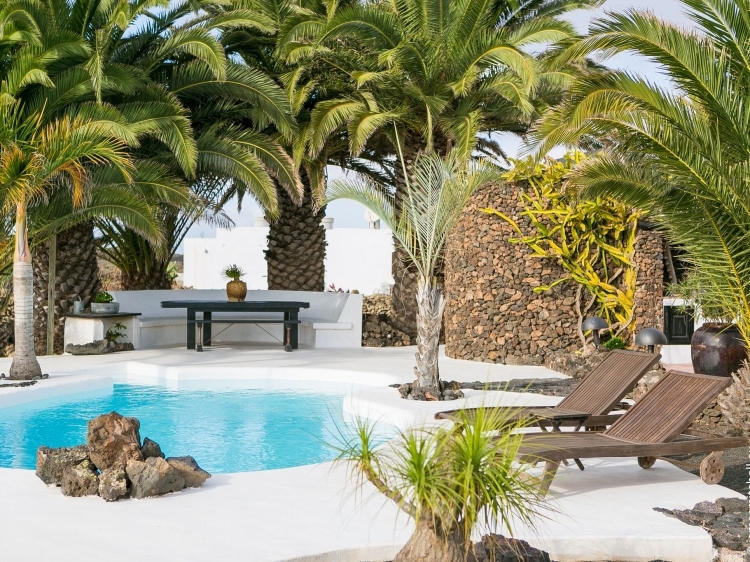 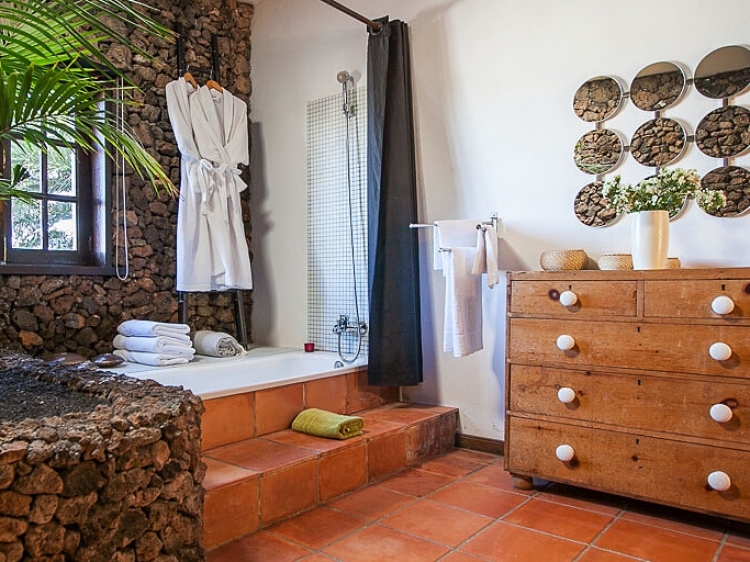 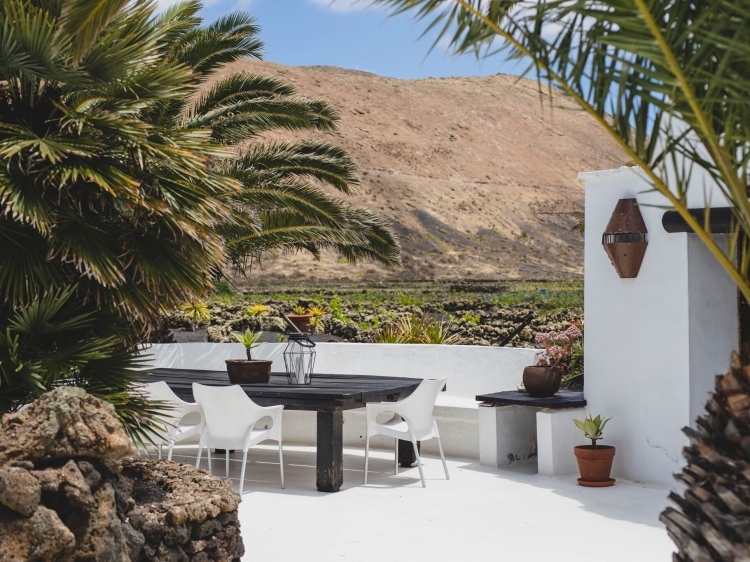 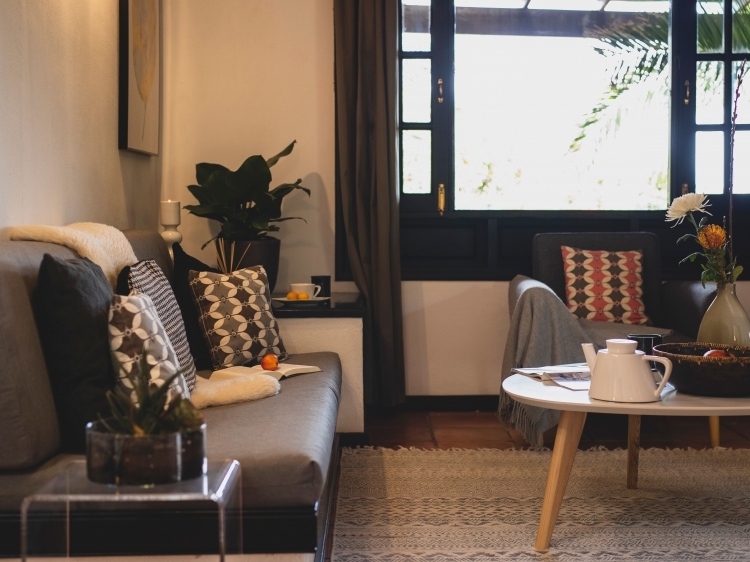 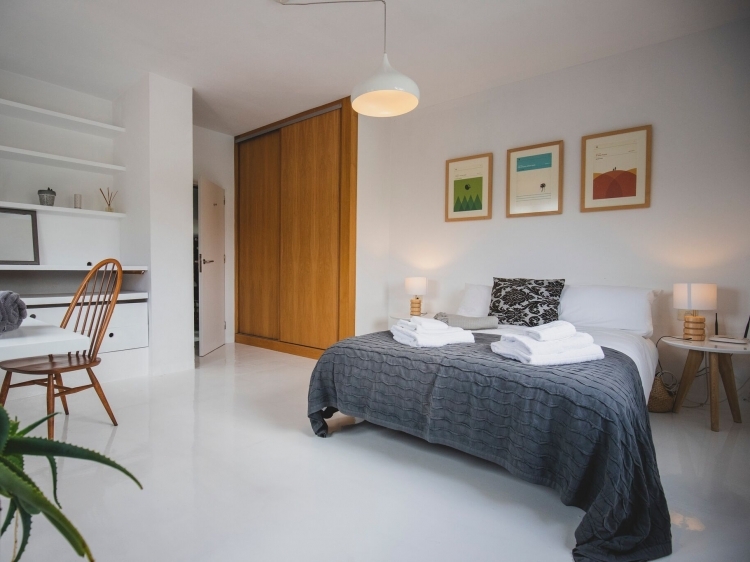 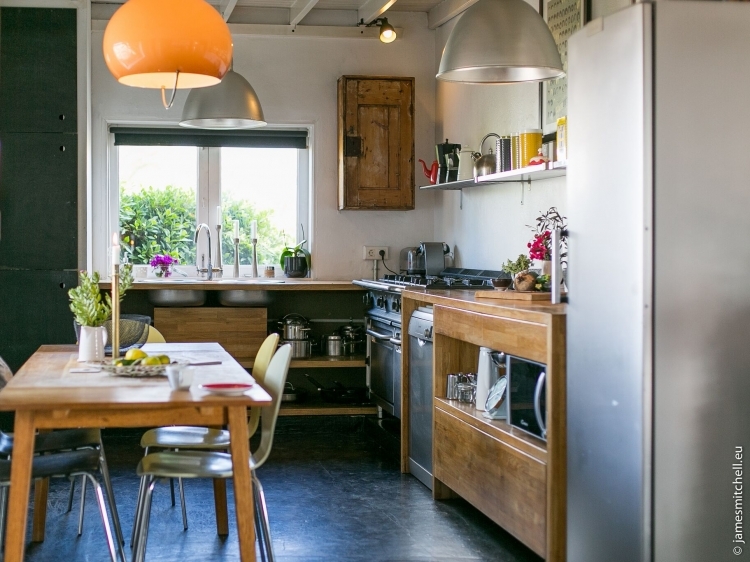 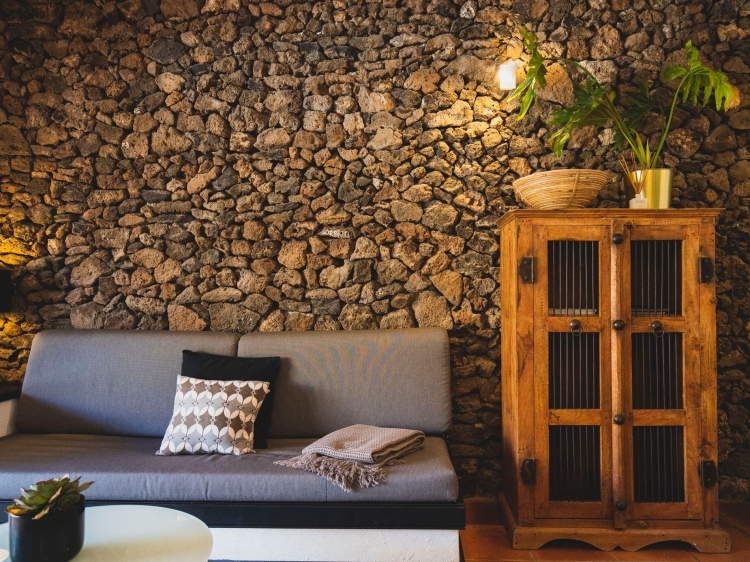 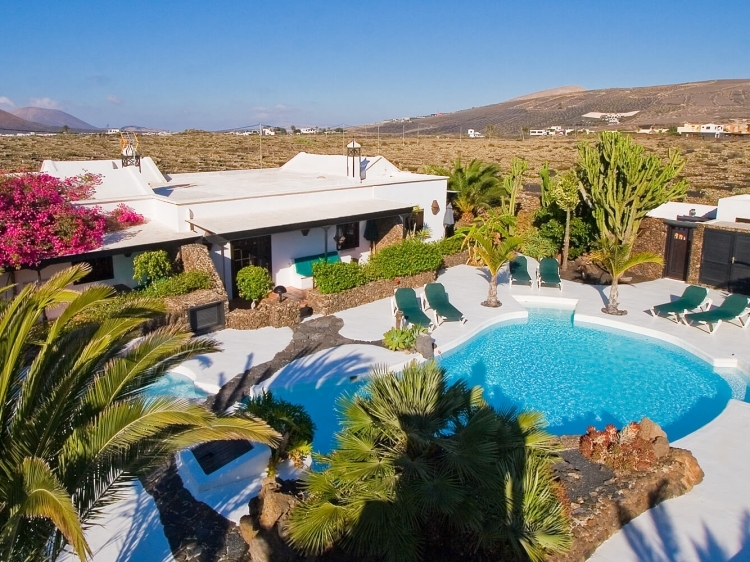 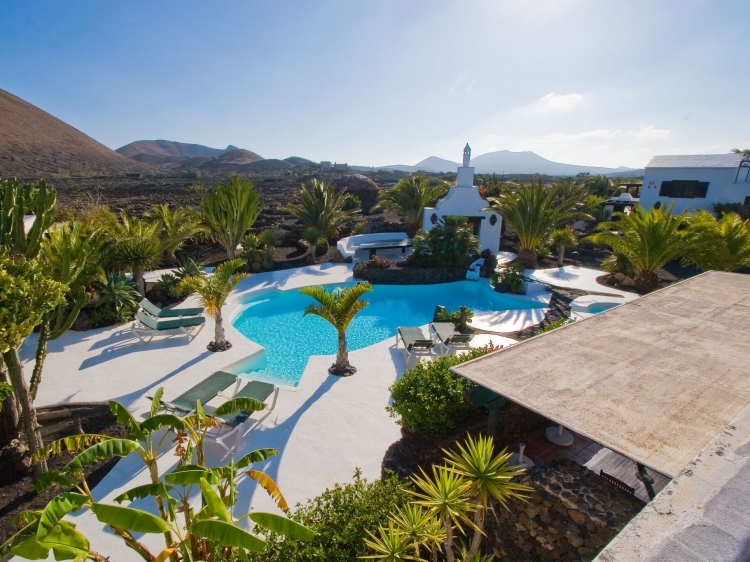 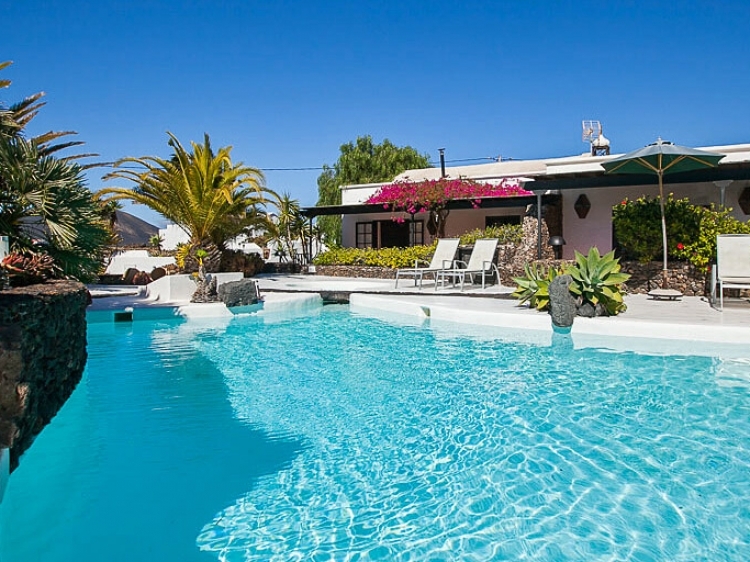 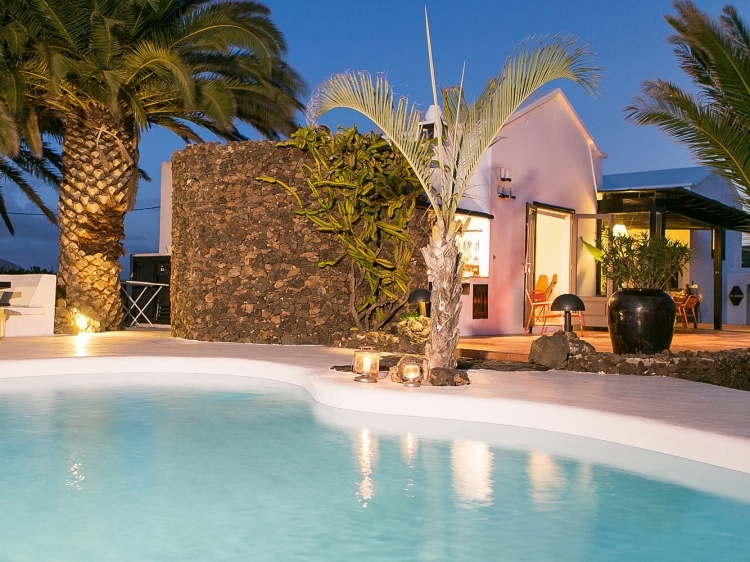 Surrounded by volcanic ash and vines in the heart of Lanzarote, Tarnya and Richard have built a small paradise for their guests: Finca Malvasia is characterized by its luxurious stone houses, which are from the inside and from the outside absolutely adorable! 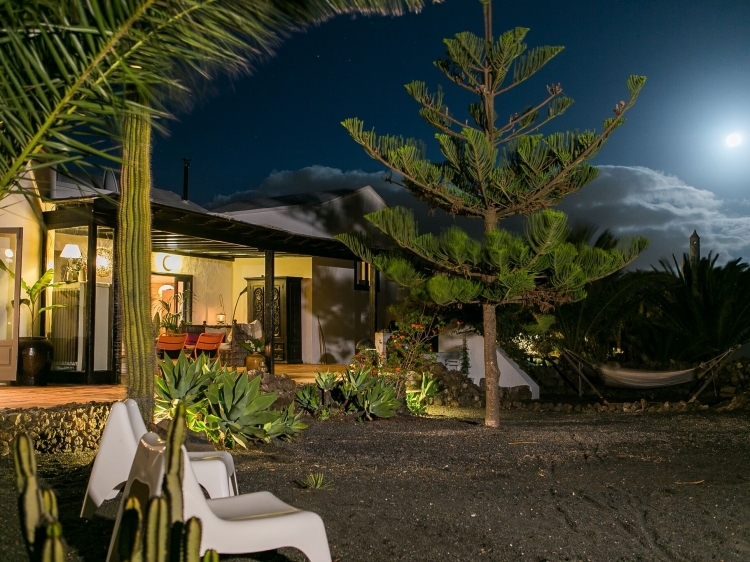 Hidden and far away from the usual tourist trails it offers an environment full of natural beauty: cacti, palm trees and fields of black volcanic ash complement the finca-complex and turn it into a peaceful, special place. 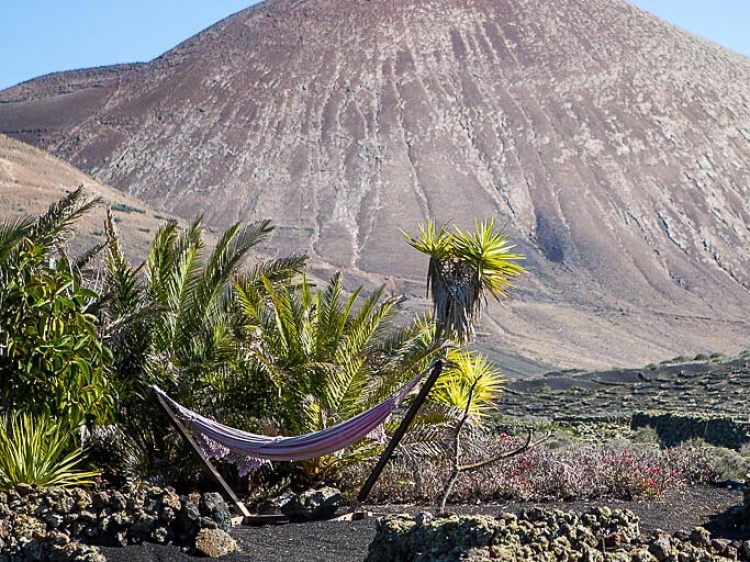 Watch the nature out of a hammock, swim in the solar heated pool and just let it go. 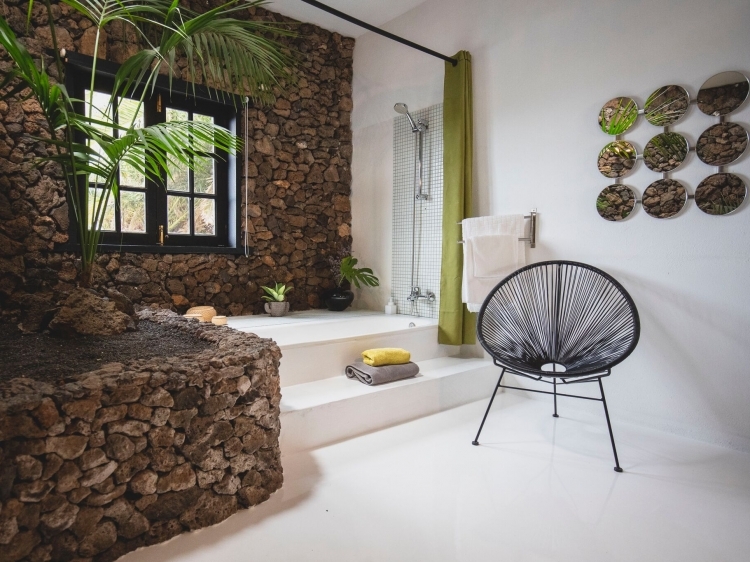 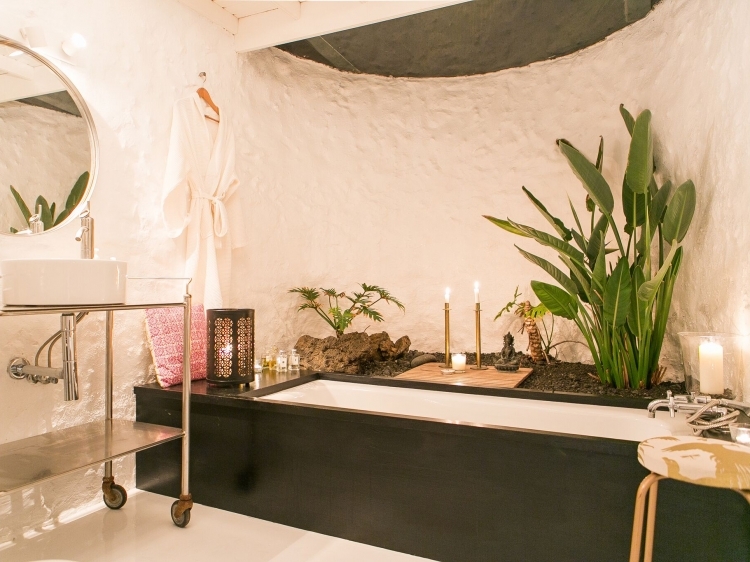 The successful mix of rustic, Canarian elements combined with a cheeky, exceptional touch was optimally managed by the famous designer César Manrique. 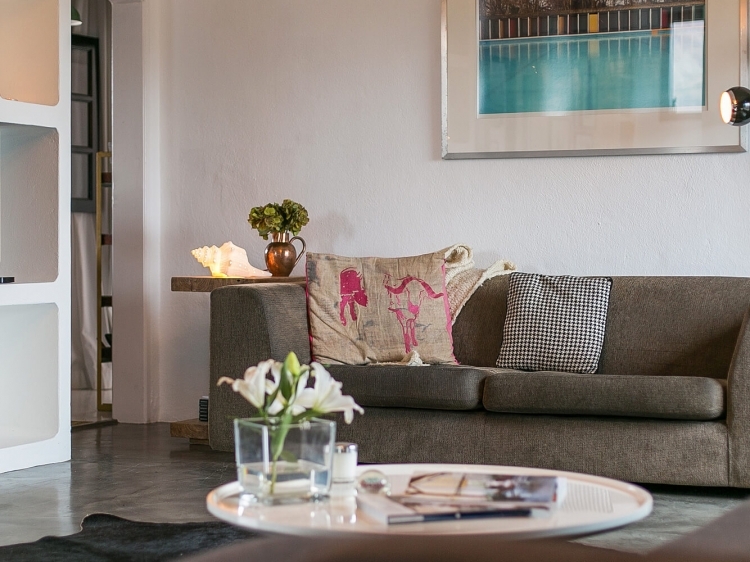 His personal touch and attention to detail are omnipresent everywhere. 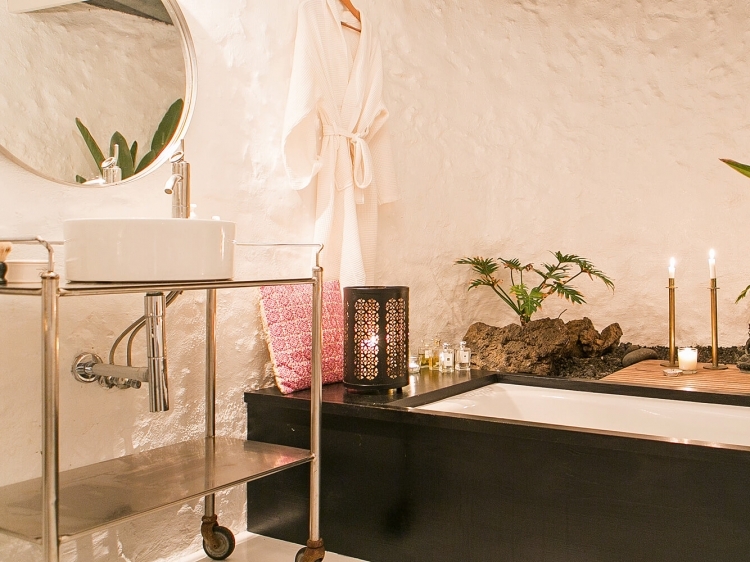 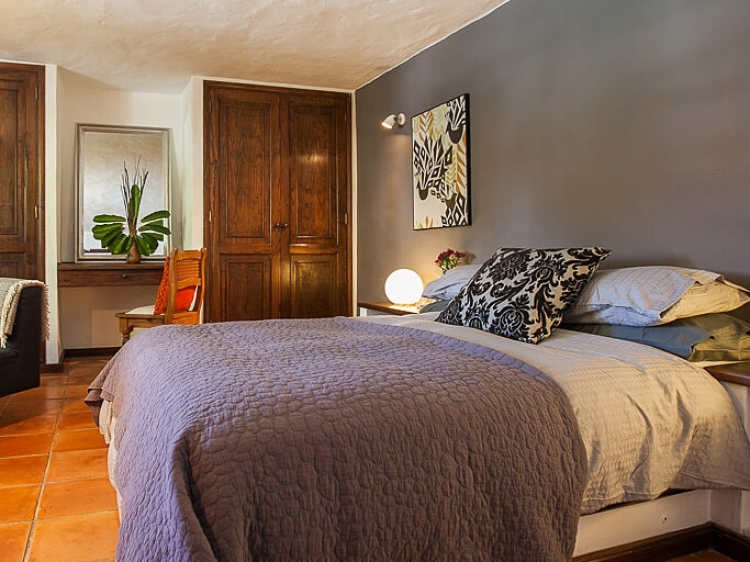 The walls of the rooms of volcanic rock shine either in elegant white, unrendered or are made of lava stone. 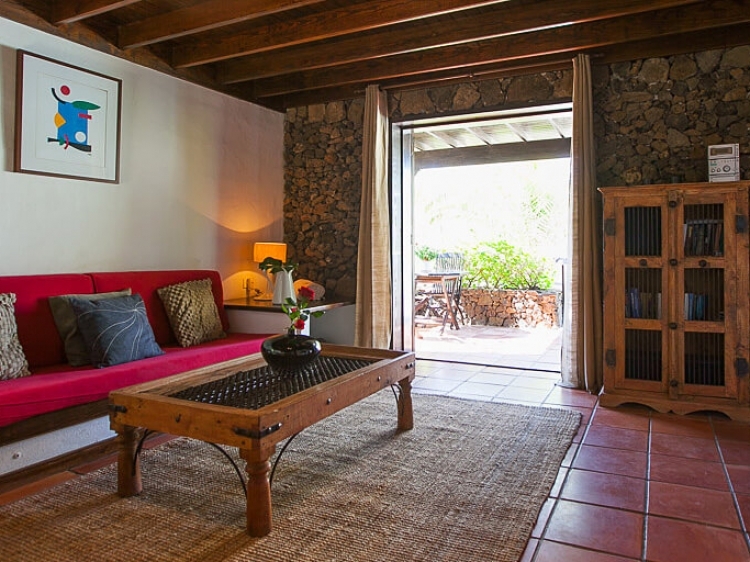 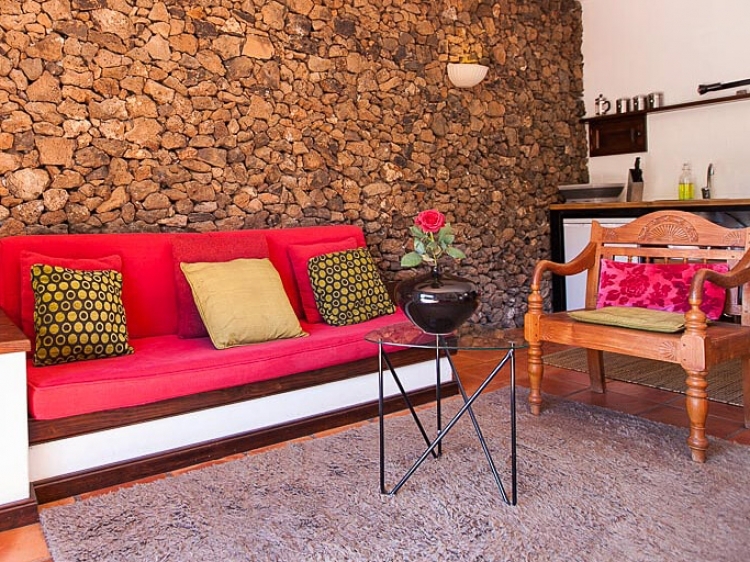 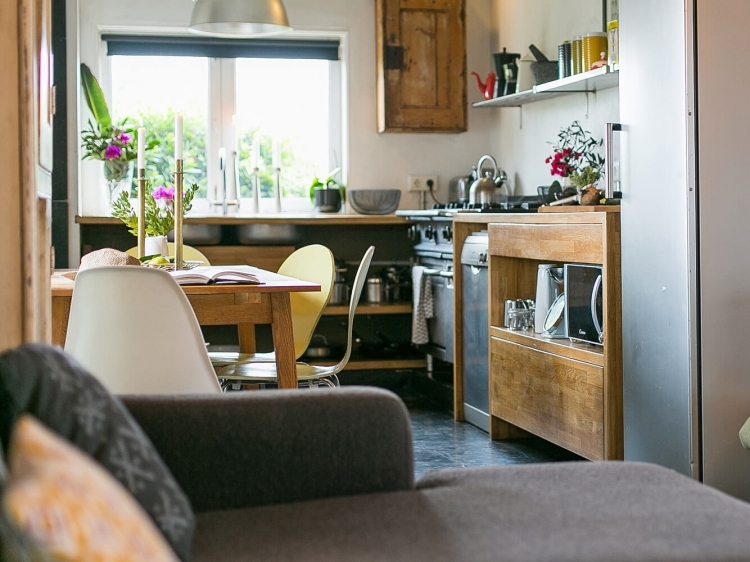 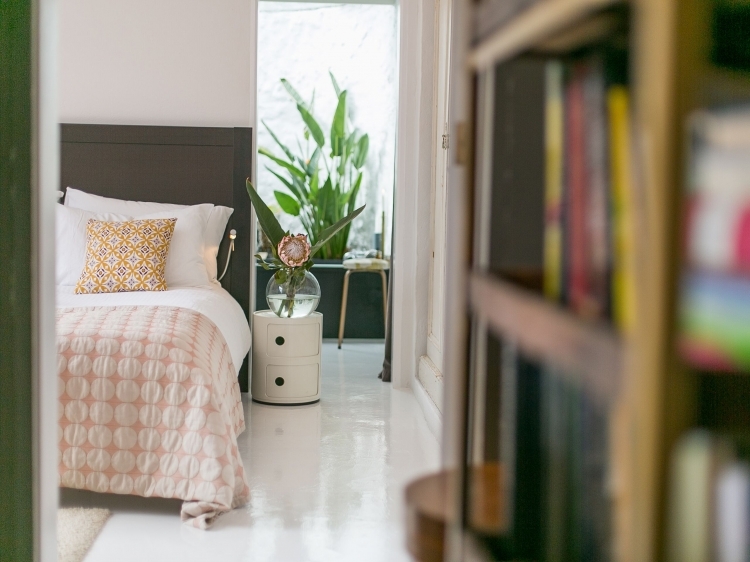 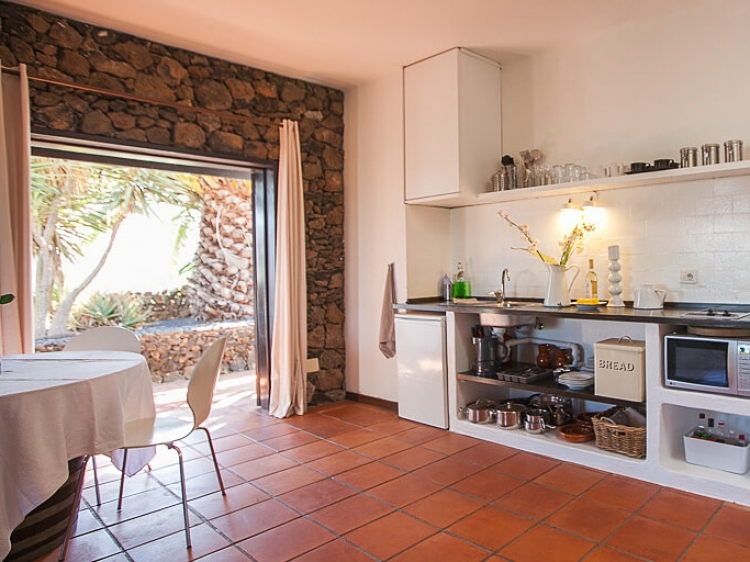 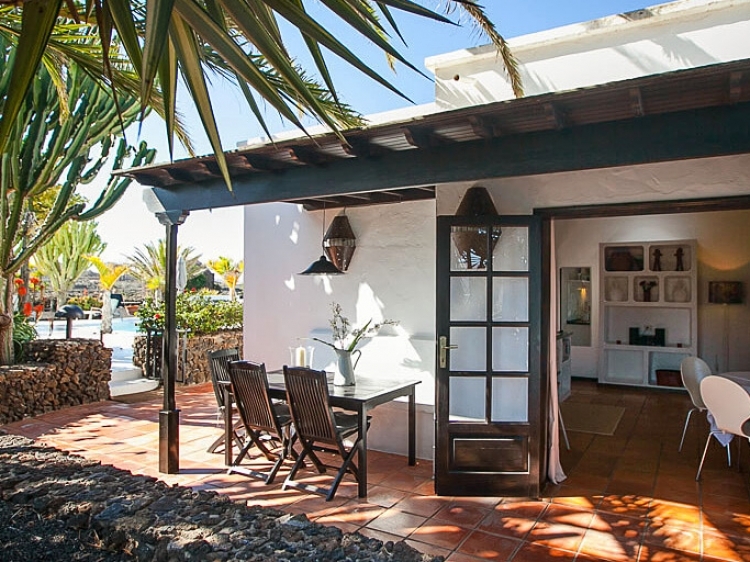 This in combination with special brick-wardrobes and -sofas and traditional jugs and vases spreads the ultimate Lanzarote-feeling. 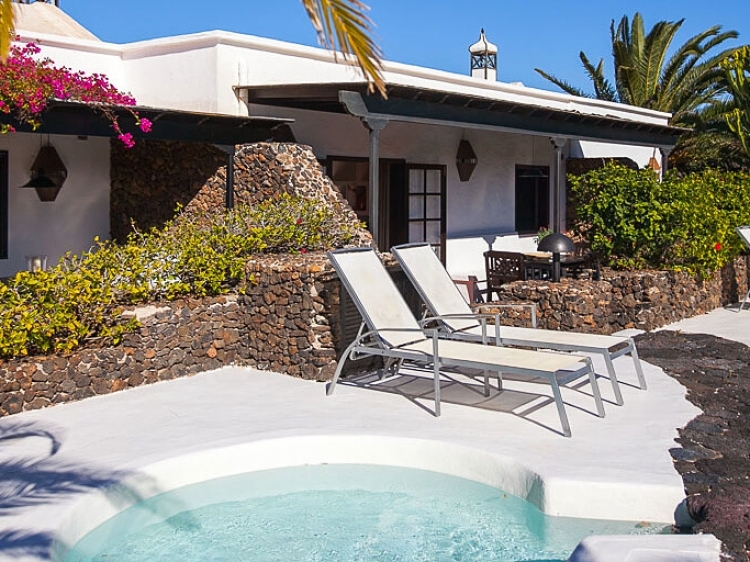 Use the shared-grill by the pool, relax in the raised private bathtub or on your own private outdoor terrace with pool-view and enjoy the Bermejo wine, which you will get from your hosts as a welcome-gift. 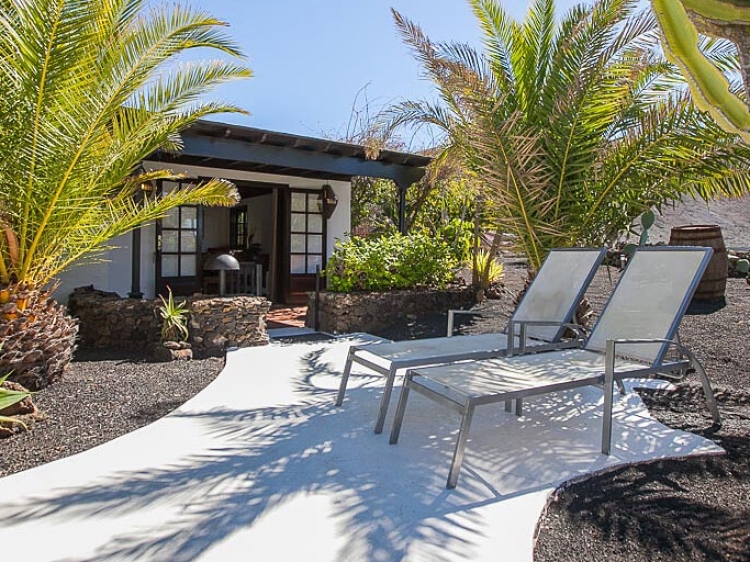 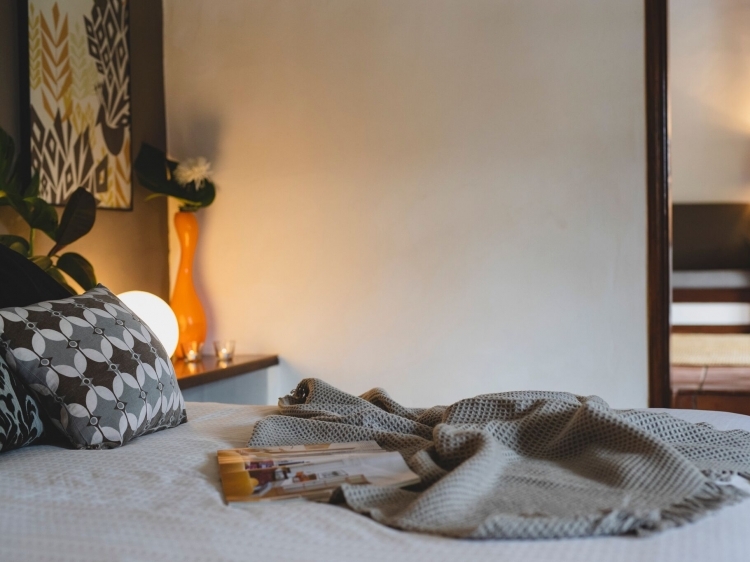 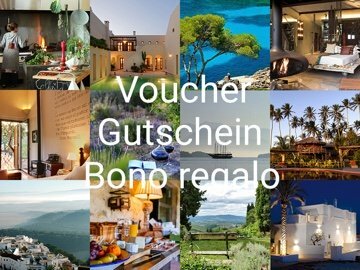 Apart from the peace and seclusion, you will also find a lot of entertainment: a yoga hut, various spa treatments and massages, the only 10 km distant beach and several hiking and bike trails optimize your stay. 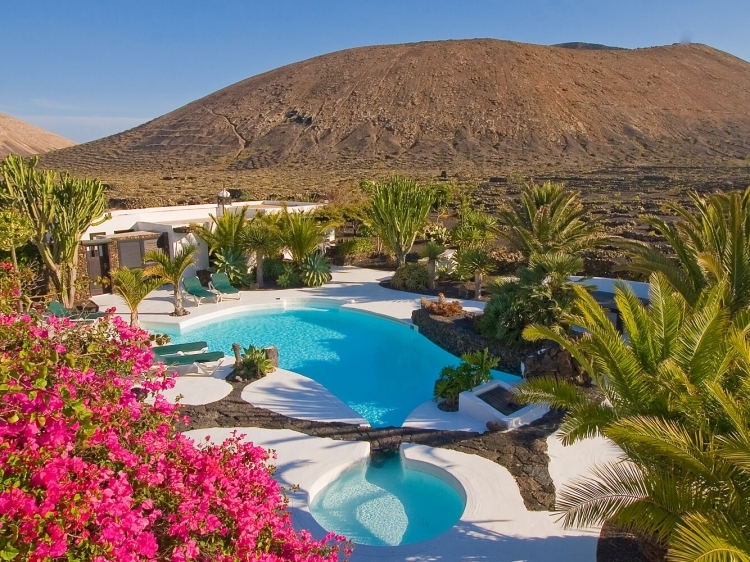 In addition, exclusive tours can be arranged for you: How about a private yacht charter or a wine tasting tour?